As you know from my Kama store visit and haul post (here), I had bought quite a number of items and got a couple of samples from the store. I have not started regularly using all of them except the face mist and the moisturizer, and I am loving its effects on my skin. 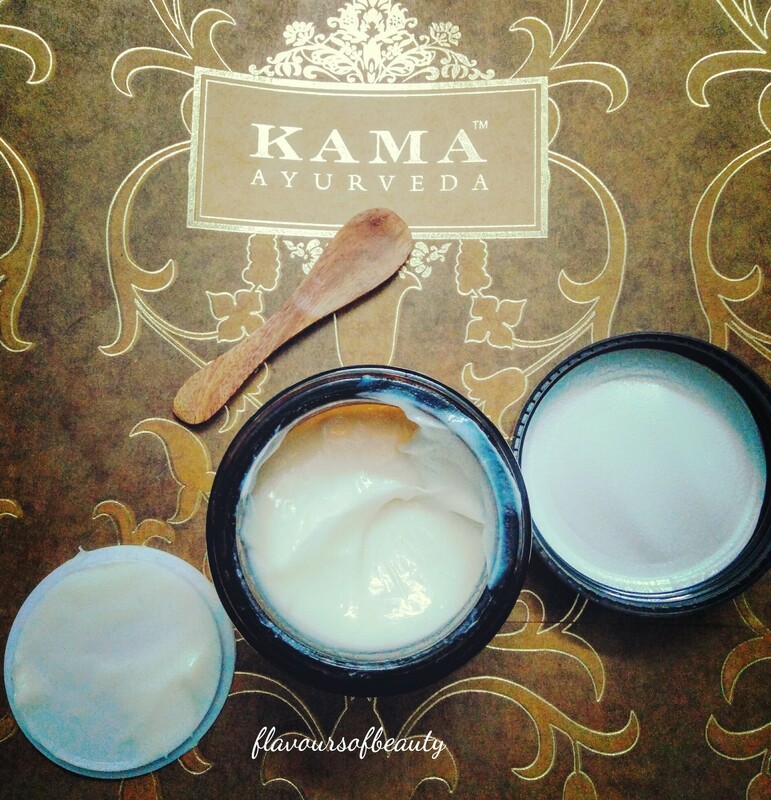 Kama Ayurveda is a high end luxury brand, that offers some amazing skin and body care products. If chosen wisely, you actually can make some awesome purchases without burning a hole in the pocket, considering efficacy and quantity needed. If you are my Instagram follower (Inst), you already know by now how much I am liking this one. I have combination skin type with oily t-zone. This one was not an instant pick as I was concerned if this would make my face all oily. I mean Ayurvedic formulations are usually on the oily side, so I didn’t want to spend so much on something without trying it out first. So I got a sample tube of the cream from the store and tried it out for about 2 weeks. Even though the sample tube was tiny, it lasted me 2 weeks (application once a day). Price : 895 for 50g. But trust me, if 5gm can last me 2 weeks, do the math. This is worth it. 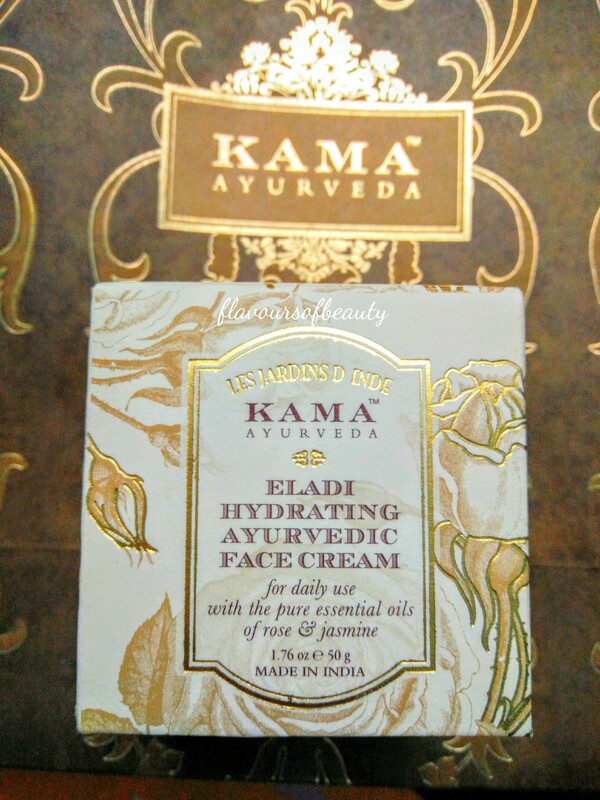 Ingredients : Along with many other ingredients, this has the goodness of coconut milk, cardamom, rose and jasmine essential oils, sesame oil, aloevera etc. This is 97.45% natural and free of parabens and nasties. Packing: A bit bulky but looks very pretty. The product comes in a dark glass tub that is heavy. No spillage from the tub as their is an inner lid. Got a tiny wooden spatula with this to take the product out, without contaminating it with hand, which is very thoughtful. This is very light and creamy in texture and gets absorbed easily on skin, without leaving any oily residue. 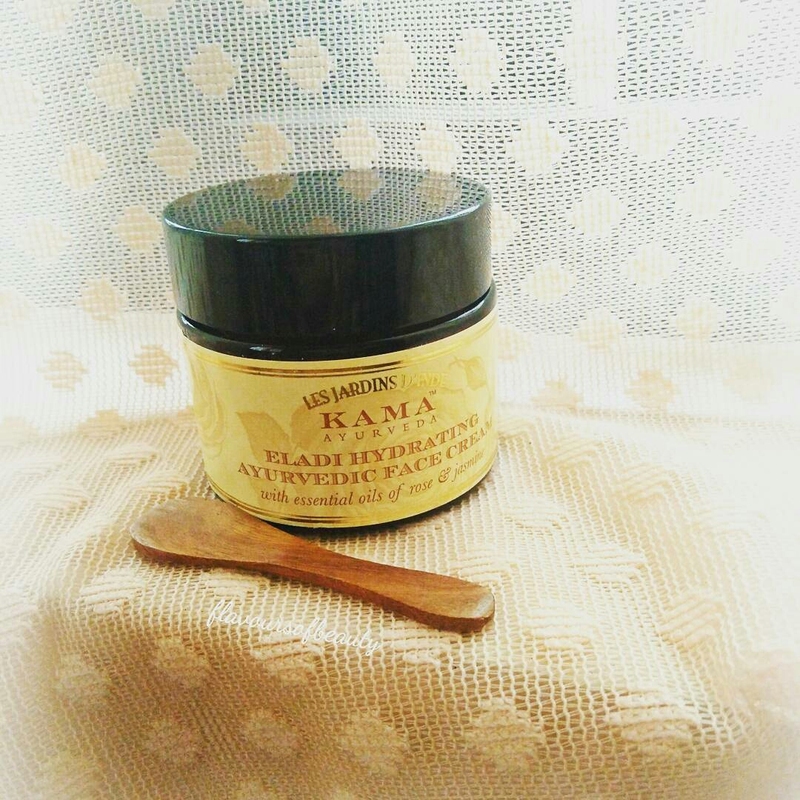 I apply it sparingly and spread it well on face and neck after cleansing and toning. Did not cause any breakouts on my skin. Love the pleasant natural fragrance, texture and how it just nourishes my skin from within.Loved it so much that once the sample pack got over, I went ahead and got it. Yes it is costly but it does last a long time. And I feel that rather than spending on many skin care product, a good moisturizer can multitask and keep my skin soft and supple. Nay points : Costly, Might not suit very oily skin type. I have not used face mists or toners before and this was my first buy from Kama (well mostly because this was affordable). I tried the rose, lavender and mogra mists from the store but this one caught me by surprise. This earthy water just refreshed my face and kept it oil free for long, on application. The other ones felt a bit heavy and this is best suited for combination to oily skin type.It is 100% natural and steam distilled from the roots of vetiver grass. Price : 250Rs for 50ml. I have been using it daily for nearly a month now and more than half the bottle is still left. The spray just spritzes the water like a mist and ensures a little quantity is sprayed well over an area. No product wastage as the spray comes out like a mist. The fragrance is very earthy but very refreshing. 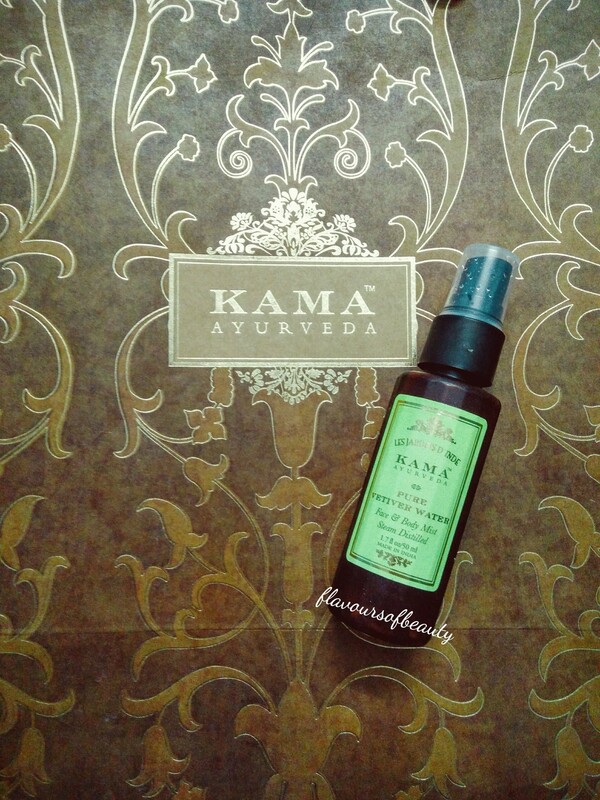 Spray this on face and it just energizes the skin and wakes it up. I store this in refrigerator. The packing is travel friendly and sleek. I am sure, I will be stocking up a bigger bottle once this gets over. Nay Points : None. Totally loving it.